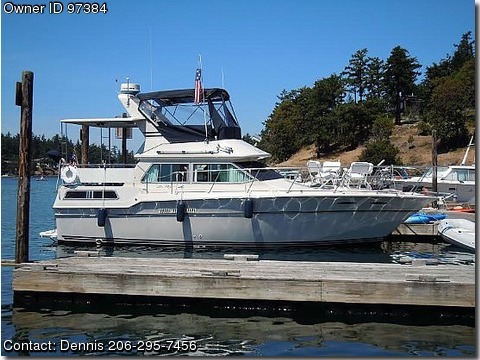 Boat is equipped with Garmin integrated 4212 Chart plotter and Garmin 18&quot; HD Radar. Both forward and aft cabin mattresses have been replaced. 2 VHF, TV/VCR/DVD, 3 batteries, teak floors, H&amp;C water, central vac, auto helm, bilge pump, Coast Guard pack, Dockside power, Windlass with 210&#39; of anchor chain.